Concussion, Parkinson’s, stroke, vertigo, balance disorders, and children with learning disabilities all have been shown to improve with specific Neurotherapy treatments. 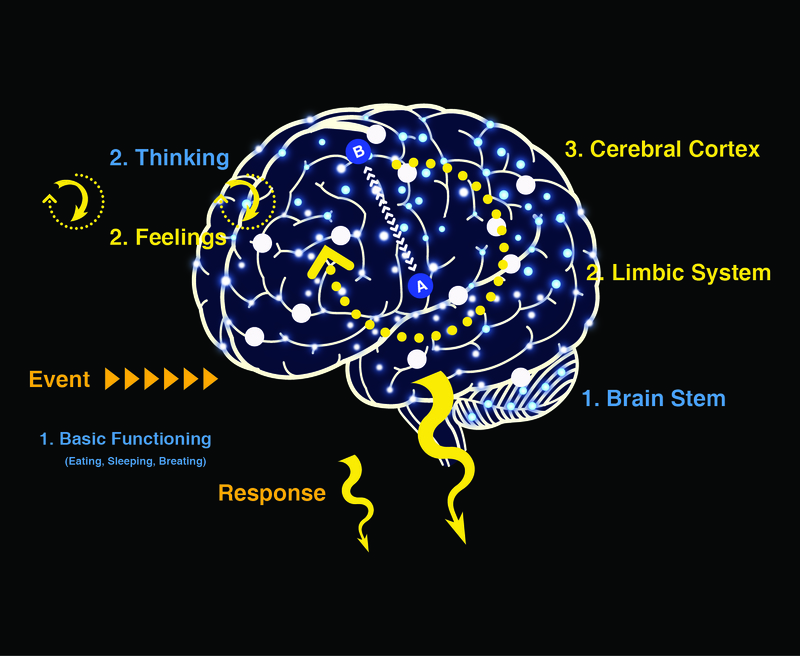 At PRA we utilize a proprietary approach using simple exercises and treatments to communicate and regulate new patterns to the nervous system in order to create synergy in the brain. There is some truth to the left-side of the brain being used for mathematical calculations, reading, and auditory memory, and right-side being more relating to physical space, body language, awareness, and social skills. While the Cortex does take care of cognitive processes, we must respect how the system functions with daily tasks; riding a bike, playing basketball, or listening to talk radio. Day-to-day activities run through our brain stem, eyes, and inner ears in what’s call the Vestibular System. 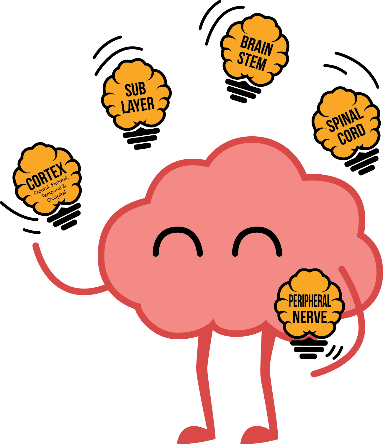 To create proper motor function our system works in conjunction with the Cortex and Spinal Cord. Pathways in the Brain Stem are the only route for information coming in or out, very much like in a relay system. 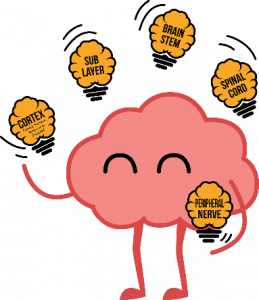 When undergoing neural rehabilitation, we use a small range of physical and visual sensory exercises to excite or inhibit new or different relay pathways in the brain to promote growth and healing. This includes eye movements, head movements, proprioception, and ELDOA. 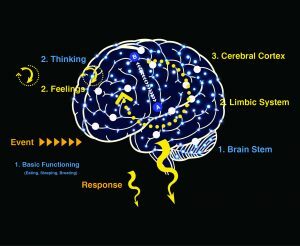 Functional Neurotherapy was created from ELDOA methods, techniques of proprioception led by Guy Voyer combined with vestibular training. Among a multitude of other possible symptomatology. These are most common. THESE CHANGES USUALLY WILL NOT BE EVIDENT ON ANY MRI OR CT SCAN OF THE BRAIN! It is vital to establish a subjective and objective baseline for assessment as these neurological problems can get worse immediately or in later years of life contributing to neurodegenerative diseases such as Alzheimer’s, Dystonia, Parkinson’s, Dementia, and Cerebellar Ataxia. Chronic Migraines have also been attributed to concussion. The technology we provide is of the highest caliber for diagnostic baseline and management purposes. C3 Logix is also utilized for performance enhancement and can track improvements in balance, visual tracking, and reaction time. Other facilities who utilize this technology: Cleveland Clinic, Plasticity Brain Centers, Notre Dame, Brigham Young University, University of Nevada at Las Vegas, Allegheny Health Network, Texas Christian University, Kansas State University, Texas A&M University, Kansas University.